National Rifle Association opponents are chasing away companies that provide discounts to NRA members as a social-media firestorm continues. 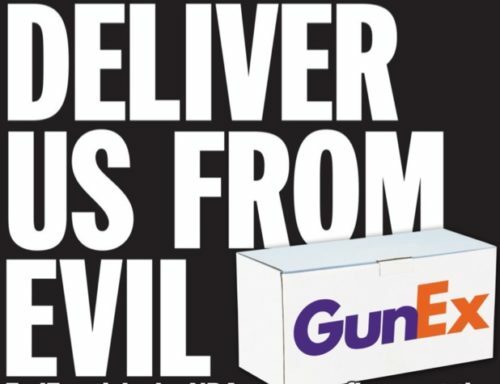 Now getting flak are FedEx for its member discounts and Amazon, Google and Apple are under pressure for streaming NRA television, USAToday reports. Thousands have signed onto a change.org petition directed towards Amazon. USAToday says that countless users of social media have threatened to boycott companies that maintain ties to the NRA. ThinkProgress, a liberal site that’s an editorially independent project of the Center for American Progress, has led the firestorm. Igor Volsky, deputy director of ThinkProgress’s @capaction, urged his twitter followers to continue to go after FedEx this morning. Volsky has been at the forefront of Twitter shaming politicians after gun violence. He was a leader in the movement to retweet their “thoughts and prayers” tweets with their actual NRA donations. First National Bank of Omaha started the retreat on Thursday. An outburst of customer complaints prompted the company to stop offering its NRA-branded credit card. “Customer feedback has caused us to review our relationship with the NRA, the bank posted on Twitter. Enterprise Holdings, which operates Enterprise, Alamo and National rental-car companies, followed suit on Thursday. It will end discounts to NRA members on March 26. “The moves suggest the NRA is losing a degree of support in the corporate world amid the firestorm of criticism over the group’s support for gun rights despite recent killing sprees,” USAToday reported. Dana Loesch, the NRA spokeswoman who participated in the CNN town hall on Feb. 21, only aggravated the complaints. At the Conservative Political Action Conference on Feb. 22, she threw fuel on the flames. CPAC attendees responded with a standing ovation. Meanwhile, thousands lined up for a gun show in Tampa on Saturday, the New York Daily News reports. NRA supporters have accused the protesting students from Marjory Stoneman Douglas High School to be crisis actors. Families of victims of the Feb. 14 massacre have even received death threats. “I am not a crisis actor,” Hogg said in response. “I’m someone who had to witness this and live through this, and I continue to be having to do that.